Lenore Andriel is a hard working Los Angeles based actress who has recently co-written, produced and starred in a successful western feature film that has received accolades and managed to win top prize at several prestigious film festivals. We caught up with Ms. Andriel and asked her to enlighten us about her project and about how comedian Rodney Dangerfield gave her respect and pushed her to pursue acting as a career. HR: Hi, Lenore. 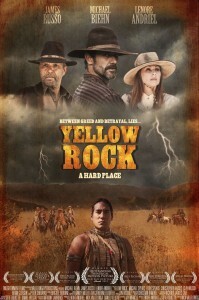 Congrats on the success of “Yellow Rock.” This is a film you co-wrote, produced and starred in. What was the genesis of the project? LA: It actually started out as a web series, then a small film, set in present day, with some of the same storyline and characters. This was my first time ever producing a film and it was daunting. On top co-writing the script and playing the female lead, I worked twenty four seven. Many people thought I was crazy to take it all on, even me! But when we started, it was a much, much smaller project. It’s come a long way, from that idea!. HR: What made you chose a Western? Did you realize you might be ahead of the current trend to make Western movies? LA: When we initially got together with our first director and cinematographer, they weren’t that thrilled by our total concept. But they liked a lot of aspects of it, like my character’s right-hand being Native American, and the through-line of “deception”. So my writing partner, Steve Doucette, and I knew we had to make the story flow better. It was Steve’s idea to make it into a Western. We didn’t have the slightest clue that the Western genre was about to make a huge comeback! We just wanted to write a story we believed in. It’s based on historic fact of what happened to many tribes in California, but told through the eyes of the fictitious “Black Paw’s”, who would be symbolic of the others. It has already brought us more success than we could have dreamed possible. HR: Your project is a great example of not giving up and going for what you believe. How difficult was it to put “Yellow Rock” together? LA: Difficult, but we felt that if we did a film with an important message, others might feel the same. We kept following our instincts. Some of those were wrong, but most of them, luckily were correct. In some ways it was difficult, because the project kept getting larger. It had a very small budget, but once we decided to do it as a Western period piece, set in 1880 California, that changed everything. It was tough putting aspects together, like getting the perfect location, cast, horses, etc. But once we found the right people to help us accomplish it, it shifted into high gear. We lucked out when our Costume Designer, Catherine Elhoffer, recommended actor Peter Sherayko and his company “Caravan West”, who supplied all the horses, wranglers, costumes, guns, production & set design, and the props – all authentic to the period! HR: Did you have people telling you, you were crazy to go down this road? LA: Shooting the movie, felt almost impossible!! And yes, we had tons of people telling us, every step of the way, that we were crazy! Even while shooting, some of the cast and crew were saying it! Things like “just shut it down” or “quit and cut your loses!” But thankfully, my partner Steve and our other Executive Producer Daniel Veluzat, would not bend, nor would I. Like Ed Harris said in “Apollo 13”, “Failure is not an option”. We felt that to give up when the going got tough, would have been very tragic and a financial loss on top of it. When Nick Vallelonga, my other producing partner took over as director, it breathed new confidence into everyone on set, yet even then, there were so many things that went wrong that we never saw coming. HR: How did you lock your stellar cast? LA: I went to (casting director) Paul Weber, through a director friend of mine, who highly recommended him. Paul wanted to read the script of course, before taking it on. I remember he called me while I was driving, around midnight. I pulled over and we talked for like an hour – he loved it! We decided he was going to cast the male leads, since we had Brigitte Burdine, casting the Native American actors and other roles. Paul was fabulous, but the actors we wanted initially, were TV Male Leads and their shooting schedules conflicted. Finally, Nick recommended Michael Biehn and James Russo, whom he had worked with and were perfect for the movie. Paul Weber was then able to close the deals. Some of the other “Cowboys” were brought to us through those actors. For example, Clay Wilcox, who portrays “Roscoe”, and Brian Gleason, as “Billy-Boy”, James Russo suggested. I brought in Peter Sherayko, who had been in “Tombstone”, with Michael Biehn. Biehn recommended Jennifer Blanc, who we wrote the role of “Monica”, the Saloon girl for. Brigitte Burdine, did an excellent job of getting us Michael and Eddie Spears for the two Native American Lead brothers, and the supporting cast of Zahn McClarnon, Joe Billingiere, Angel Felix, Rick Mora, and all the rest of the terrific Native American cast. Peter Sherayko got us Sam Bearpaw as “Strong Bear” and the Native American extras. I wrote the roles of “Dr. Sarah’s” assistants, “Martha”, Amy Jennings and “Sequilla”, Elaine Lockley-Smith, specifically for them, having been friends with them for years and working with them. Christopher Backus as “Cobb”, was brought to us by Nick. So it truly became like a family affair, with a lot of the actors knowing each other and the rest forming great friendships. HR: What about those authentic looking locations? LA: I had been pulling my hair out, running around scouting with our cinematographer, Ricardo Jacques Gale. Finally, Ricardo mentioned a place he remembered called “Veluzat Movie Ranch”, in Newhall so we went up to scout it and we FELL IN LOVE! The first thing we saw was a complete period Western town, that was incredible! Ricardo turned to me and said “Re-write”! I laughed, and knew I had to write this town in. 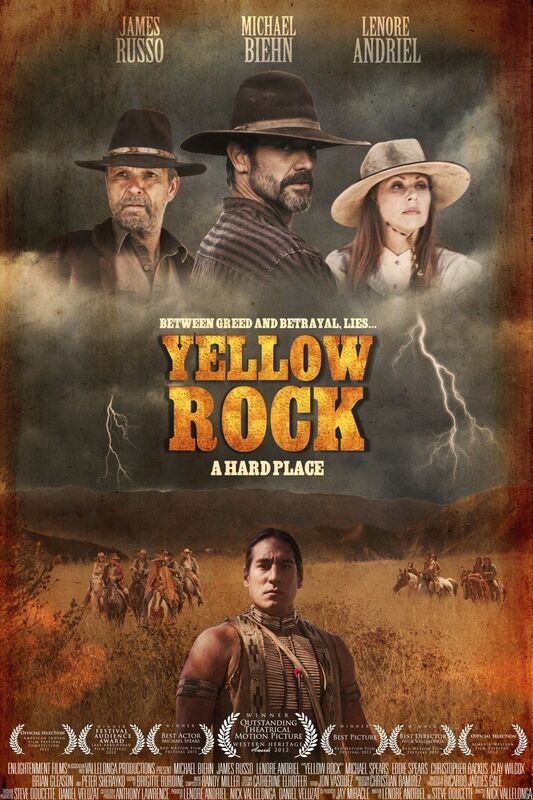 It became the town of “Yellow Rock”, which the viewers will find out is for a reason! We went further into the over 800 acres of this mythic movie ranch, and found the perfect “Open Plains” area, nestled against the back of the mountains, to build the entire “Black Paw Village”. I got chills and teared up when I saw it. I stood in this beautiful place and could see the tippees in my mind’s eye and hear the sound of Indians chanting! I knew we found the home for “Yellow Rock” to be filmed. Next, we drove through gigantic, tall pine trees, which then revealed, the most perfect log cabin! It was tucked into the pines, exactly as I’d written it! Ricardo and the crew were all shouting, “Dr. Sarah’s Cabin”! I ran up the boulder-stone stairs into “my cabin”, and was jumping around like a five year old! Each area we scouted was more rustic and beautiful than the next and completely gave you the feeling of being in the wild lands of California – all perfectly set, to have our cast on horseback, take us on the journey of their characters. HR: So you shot the film entirely on location there? Did it all go smoothly? LA: Yes, we did it all there. Daniel Veluzat, who owns the ranch, wanted to read the script prior to approving our shoot there. He loved it, and said he’d come on board! He became a God-send and not only acted as Executive Producer, with my partner Steve, but also wound up becoming our “on-set producer”, because Nick and I were too over-loaded with shooting, and couldn’t do it by ourselves. For Nick, directing a “Cowboys and Indians”-type film in 120 degree heat, with all the horses, crew, and locations, was huge and exhausting, but he managed to do it and keep us on schedule. For me, portraying the Female Lead, of “Dr. Sarah”, galloping full speed with nine men shooting over my head and delivering lines, made me truly know what women in those days must have gone through. We were all filthy, soaked in sweat, bug-biten, and exhausted. But we used it and you truly feel you’re right there on the dusty, dangerous trails with us! HR: What was the most difficult day on set? LA: Oh My God! EVERY DAY was difficult! I don’t think a day went by, where at least three things weren’t going wrong all at the same time. For example, minutes before shooting, our videographer, Keith Clark, ran up and told me that Saginaw Grant, whom we cast as our “Chief White Eagle Feather”, was ill and couldn’t do the role! I turned to Joe Billingiere and Robert Pyute Hessen, who were cast in smaller principle roles, and said “How would you both like an upgrade?”. Thankfully, they both jumped at the chance and Joe became our wonderful “Chief” and Robert became our medicine man, “Healing Deer”! While this was going on at base camp, Eddie Spears as “Angry Wolf”, was being thrown off his horse up on the mesa where they were shooting, and to top it off, someone ran up to me and said “The catering truck just got a flat tire and won’t be here for another hour AND they got a ticket, which you have to pay for!” For the most part, everyday was tough, due to unforeseen circumstances you encounter when shooting a Western – and still we pulled it off. HR: What about for you, as the Female Lead “Dr. Sarah”? LA: For me personally, it was when we were about to shoot a beautiful scene with myself, “Sequilla” my Tribal nurse assistant, played by Elaine Lockley-Smith, and the adorable children of the tribe. I’m supposed to exit the main Tippee and turn to see the children happily run up, play with them, and then speak with “Sequilla”. But the wind and dust was whipping us and my long red hair was completely covering my face, so that I looked like “Cousin It”! Everyone was shouting to “get hair & makeup” on set to help, but they couldn’t get them from base camp in time. Our director started yelling at me, because we had to go. I went back into the tippee with Elaine and Daniel. I started crying because I had so looked forward to this scene and now it was going to be a mess and I was being yelled at. Daniel was amazingly inspiring – so I dried my tears and had to “buck up”. No matter what happens, you have to be a pro. So I went out to do this “happy” scene with Elaine and the children and still get it done in 1 – 2 takes at best. When you watch the film, thankfully, you would never know it. HR: What was your favorite day? LA: My favorite day started at sunset, galloping into the “Black Paw Village”, with my Co-Stars, Michael Biehn “Tom Hanner”, and Michael Spears “Broken Wing”. Though we had problems riding in, i.e. my reins broke in full gallop, and Michael Spears’ horse stumbled in a hole and almost threw him, we wound up getting the gorgeous shot we needed riding full gallop “back in time”. My mom was watching and I saw the look of pride she had and it meant the world to me, to have her see what we had accomplished. The scene then rolls into the evening, when an authentic “Round Dance”, is lead by Michael Spears “Broken Wing”, with my character and Biehn’s smiling and looking on. The giant bonfire, tippees, druming, chanting, and dancing by the Native American actors, brought us all into 1880. At that moment, I truly was “Dr. Sarah” and felt her joy and love for the Tribe – I’ll never forget it and neither will anyone else! HR: What are some of the accolades your film has received? LA: We’ve been blessed to receive many awards so far. 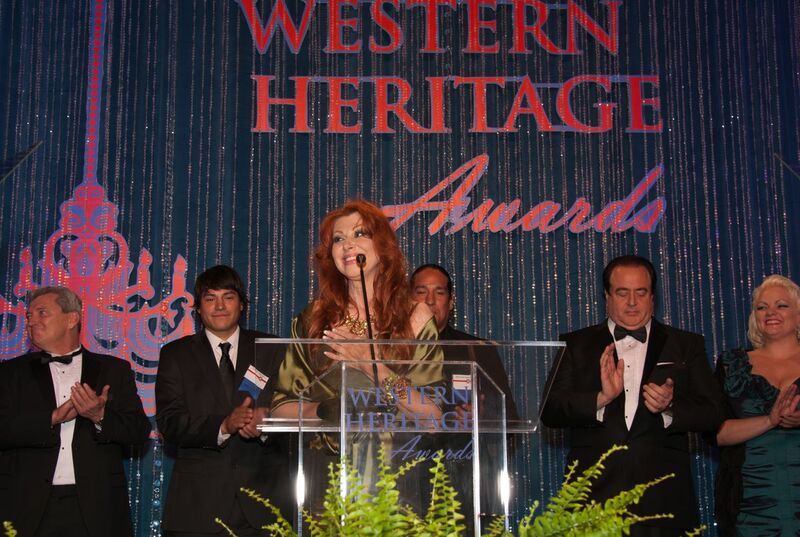 But first off is the “Western Heritage Awards” for which we received many “Wranglers” and is the most prestigious Western Award to honored with, in the U.S. and around the world. It is afforded by The National Cowboy and Western Heritage Museum, in Oklahoma City, Oklahoma. We received the Awards for “Outstanding Theatrical Motion Picture”, “Best Director” – Nick Vallelonga, “Best Screenplay”, Lenore Andriel & Steve Doucette, “Best Actor” for Michael Biehn, James Russo, Lenore Andriel, Michael Spears, and Eddie Spears. We are so proud and honored to have received these beautiful, bronze, “Wranglers”. The sculpture is of an historic “Cowboy on his horse” and looks like a Remington statue. Last year’s winner was “True Grit”, and prior to that was “3:10 to Yuma”, “Unforgiven”, “Dances With Wolves” and every iconic Western you can think of for the past 50 years! We all accepted them at the museum’s gorgeous Award Ceremony, filled with 1200 attendees! When we all walked into the Black-tie event, it took our breath away, and the great people who run the entire program and museum, were truly wonderful to us! The memory of the entire weekend, will stay with all of us, always. HR: I understand you met the late actor, Ernest Borgnine at the Western Heritage Awards ceremony. LA: Yes, we had the honor of meeting him there and he was such a lovely, wonderful, man. Full of energy and kindness and you just couldn’t help but to adore him. We were Honorees with him and did a press conference on the panel together. He won for the television film he did. Ernie told the press how important doing “classic-style” Westerns with a message are. Telling a great story is what was important to him and to us as well. 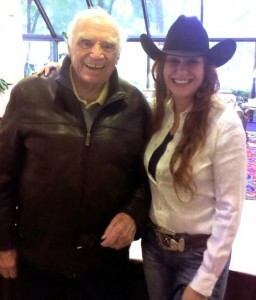 We all felt that being award winners with such an iconic Western figure as Ernest Borgnine, is a memory we’ll treasure. So sad that he has passed away. HR: What are some of the other honors you have received? LA: We’ve also been greatly honored by the Red Nation Film Festival, here in Los Angeles. We were their “Opening Night Premiere” at the Simon Wiesenthal Theatre and won “Best Picture”, “Best Director”, and “Best Actor – Michael Spears” and a nomination for “Best Supporting Actor – Zahn McClarnon”. The RNFF award is a beautiful, golden statue of a Native American woman. It looks like the “Oscar” and she’s proudly displayed in my home! We also just garnered the Lake Arrowhead Film Festival’s “Audience Award”, which is judged by your peers and the public, so we were deeply honored to receive that as well. Additionally, we received a Nomination from the American Indian Film Festival in San Fransisco, for “Best Supporting Actor – Michael Spears”. HR: Where will “Yellow Rock” be seen next? LA: We’re an “Official Selection” at the Prescott Film Festival, in Prescott Arizona, August 1st -8th and will be premiering at their Performing Arts Center with 1200 seats. Then we will be premiering as an “Official Selection” at the Almeria Western Film Festival in Spain, the first week of September. So we’re looking forward to both of them! HR: The film is about to be released soon, is that correct? 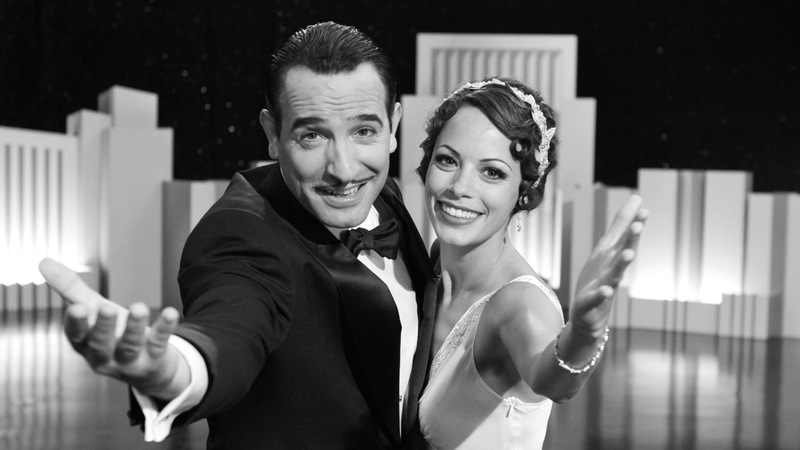 LA: Yes, it will be officially released August 7, 2012, by our Domestic Distributor Screen Media Films. Initially, it will be available on Netflix, Amazon.com, and through the National Cowboy and Western Heritage Museum Store. Then it goes wider throughout North America, but I’m not at liberty to say how and where yet. It is being distributed in the rest of the world, through Epic Pictures, who was just at the Cannes Film Festival, busy selling it to Europe, et al. So all those countries will all be announced shortly, as well. HR: Where are you from originally? LA: I’m originally a “Jersey girl”, where I began my studies and doing theater. Then I moved to NYC, to further study acting at the Warren Robertson Acting Studio, Elaine Bovaso Studios, and many others, and to continue my stage and indie film career. HR: What was the first thing you did when you got out here? Were you excited or overwhelmed by Hollywood? LA: Believe it or not, I rented a mansion on Mulholland Drive, from my hair stylist! I thought, “Oh my God! This is an awesome way to live!” But then he came back from his trip around the world, and I had to go down into the valley with the rest of the struggling actors! I figured it always gave me something to shoot for again! I was excited from the moment I got here and have never stopped loving California! But I’m thankful for having my roots in New York city – I studied and worked hard there and it was worth it. HR: You’ve been a working actress for quite a few years but prior to that you were producing plays and concerts. Tell us about that other life. LA: I guess I started my career in very “backward” way. I found a 1920’s theatre for sale in Elizabeth, New Jersey. It was in terrible condition, but you could still see the beauty and craftsmanship from that era. It was a 3,000 seat theatre, from the days of vaudeville and loaded with potential. So a business friend of mine and I, were lucky enough to find an investor with the same vision, and turn it into a concert hall/theatre venue. The three of us oversaw complete renovation to the theatre, back to it’s original splendor and produced shows and concerts with incredible stars. We had everyone from Spyro Gyra, The Oakridge Boys, George Carlin, Ray Charles, and Charlie Daniels, to Rodney Dangerfield. I was producing at 21 years old and was the youngest and only female doing it in the country. It was an amazing time in my life, riding around in limos with these people, doing their contracts, and running the theatre with a huge staff, seven days a week. HR: You had an interesting encounter with Dangerfield, tell us about that. LA: When Rodney Dangerfield came in, he asked to speak to who was in charge. My staff brought me to him and he said “No, where’s your father or the guy who runs this place. I said “That’s me – I do.” He rolled his big, bulging eyes, then argued with me about how he didn’t want anyone getting up during his performance to get a drink. I argued right back with that big man towering over me – I looked like a little mouse! He finally said, “Kid, you got my respect!” We became great friends after that for years. It was Rodney, who told me to be an actress. On show nights, prior to the curtain rising on our star act, I would go out on stage to welcome everyone and talk about upcoming shows. It was thrilling talking to 3,000 people a night and entertaining them. Rodney watched me from the wings one night, then sat me down and said “Kid, you got it, you got stage presence. You’re a natural and should get into acting, besides, you’re too emotional to be a producer!” So in some ways he was right and when I was ready, that sage advice helped me begin my journey into acting. 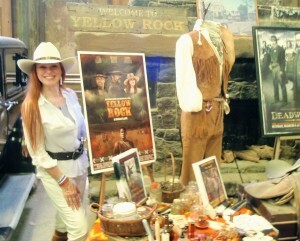 I’ve come full circle now – producing and acting with “Yellow Rock” – it’s been a heck of ride! HR: You mentioned “when you were ready”. Did you go right into acting after that? LA: No, I threw myself into studying acting first. But I needed to make a living, so I bought a white limosine from the Marshall Tucker Band, who had done a concert at my theatre. I started a company of all female drivers, myself included. I became Regis Philbin’s driver and would go out on stage with him at the start of his live shows. He’d say to the audience, “I’m sorry I’m late! My chauffer is to blame.” I’d then walk out in my white limo outfit, replete with white hat, short skirt, and matching heels, towering over Reg. The audience would always laugh and we’d do an impov together. They loved it and he likes redheads, so asked me to consider being his side-kick on his T.V. show. But I wanted to act in stage and films, which I love and went on to do. HR: Hindsight is twenty/twenty. Looking back over your showbiz career, what would you have done different, knowing what you know now? LA: I would have started acting sooner. It’s a long road and you have to be able to tough it out, plus it was hard hearing at 27, you’re too old to be an actor! It’s an ageist concept that I’ve never agreed with. But it is good to get the training earlier because it takes a long time to make a living at it. I also wouldn’t have let every remark and audition get to me so much. Now if I don’t get it, I just move on instead of going home crying about it. I think as actors, we have to not take ourselves and our careers so seriously and enjoy the journey more. HR: What have been some of your favorite projects and who have been some of your favorite people to work with? LA: I’ve had small parts in big films, and big parts in small films, but with directors, I loved working with Marty Scorsese, Woody Allen, and the UK director Charles Jarrott. There’s such a galactic difference working with filmmakers of their magnitude. I’ve also had a great time with indie filmmakers, who have more time to work on a personal level and have deep conversations about your character. I don’t think I have a favorite project, because I’ve loved working on (most) of them. I did a film called “Jamie’s Secret”, with Paul Rudd, directed by Peter Foldy and was nominated for “Best Supporting Actress” and flew to Colorado for the Awards Ceremony, so that was fun. I did the Supporting role in “Midnight Witness”, with Maxwell Caulfield and Paul Johannson. It premiered at the Cannes Film Festival, so Maxwell, the director, and I were there to do the press and promo on it, and had a fantastic time! I also Won a “Best Actress” from Showtime’s Joe Bob Briggs for “Eyes of the Serpent”, which was a blast. I’m also the voice of several recurring roles in “World of Warcraft”. Oh! Yes, then there’s “Yellow Rock”! That’s my favorite! How could it not be?! HR: What advice would you have for younger actors or filmmakers starting their careers? LA: For younger actors, training is a must! I meet so many who’ve been told they should be actors because of their looks. What they don’t realize, is that there’s a million gorgeous actors in L.A. It might get them in the door, but they’re eventually going to have to deliver. I saw it myself, when we were casting “Yellow Rock” – handsome guys would come in and everyone would get excited. Then they’d read, and there was nothing going on. They’d leave and everyone would look at each other and say “What a shame”. I also think younger actors shouldn’t concentrate so much on becoming a “Star”. Everyone should absolutely have their dreams and hope it happens, but you have to be in love with the craft of acting, not with being a celebrity. That attitude comes through in auditions. Loving the work is what casting wants to see – it creates passion for what you’re doing, keeps you in the moment, and winds up being more rewarding in the long run. For filmmakers starting up, I’ll pass on what I learned from a Producer at a seminar: “Make a film about what you know about, or subject matter that you want to know about!” Then I’d add, put all your time, heart, and soul, into seeing it through. Listen to advice you get with a grain of salt, then use your instincts, and go for it. You might not make an “Award Winner” out of the gate, but at least you’ll have a voice and enjoy your path because it’s what you believe in. Just like acting, your passion for it always comes through. LA: Right now after completing “Yellow Rock”, it’s sleeping! But I love to go dancing and to dinner with friends. I also spend time with my mom and watch movies. But I guess I’m also bit of a “work-a-holic”, so my partner Steve Doucette and go over “YR” stuff and the projects we’re working on for our company Enlightenment Films, which is exciting. HR: What do you have coming up next? LA: “Yellow Rock” was just inducted into the Melody Ranch Museum, on display next to “Deadwood” and “Bonanza” and countless other Westerns that were shot there. We’re definitely are going back to Melody Ranch and Veluzat Motion Picture Studios to do another Western! We also have two other projects in development. One is a beautiful, medieval fantasy, which is hot right now, and the other is a suspenseful, haunting tale. I’m excited about all of them and can’t wait to start diving in! HR: Is there a website for “Yellow Rock” and how can people contact you? HR: Thanks for talking with us, Lenore. LA: Thank you so much for having me, it was my pleasure!